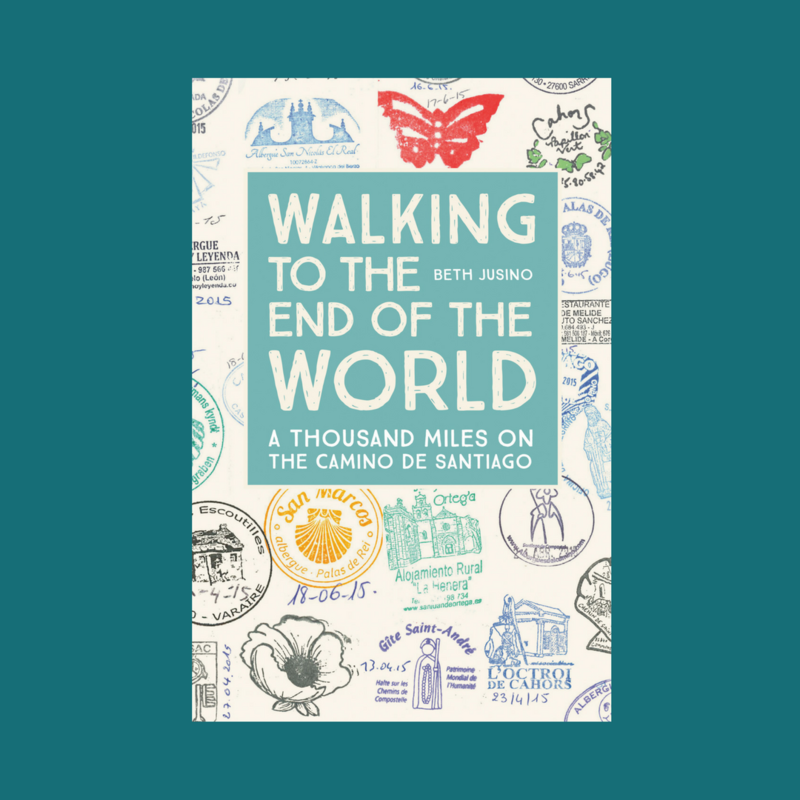 There’s a lot to do when a Camino pilgrim reaches Santiago de Compostela. You have to find the Pilgrim’s Office, stand in line, and get your Compostela. You have to find a place to stay. You have to find all your friends and take group pictures. You have to go to a pilgrim’s mass at the Santiago de Compostela Cathedral and hope that it’s a day they’re swinging the botafumeiro. We did all of that, of course, and more, in the one long day we spent in the city of Saint James. And there are a dozen other things that we missed, like the cathedral roof tour or the pilgrim meal at the Parador. But the tradition that meant the most to me was the one I didn’t even know was a tradition until we got there. You get to hug Saint James himself. But behind that statue is a camarín, or small room, accessed by a set of stairs. 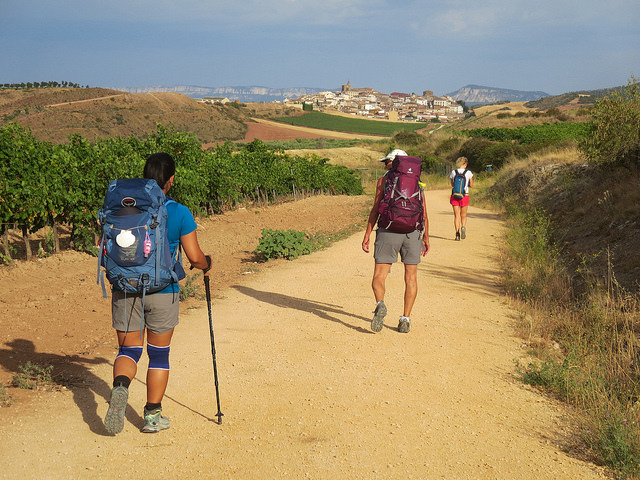 And that pilgrims of the Camino are encouraged to climb those stairs, approach the statue of Christ’s disciple, offer their thanks for a safe journey…and hug him. The stairway to the saint is open any time the cathedral is open, and the line can stretch for hours. So there are a steady stream of faces peeking out through the bright lights and shiny gold, even during the masses and services of the church. I first noticed them just an hour after we’d arrived in the city, while we waited in crowded pews for the pilgrim mass to start. Every now and then, just for a second, a pair of arms appear out of the dark shadows and wrap about the neck of Saint James. See that guy hovering behind St. James? He’s about to reach around and give him a squeeze. Oh, this was something I HAD to do. Eric was…more hesitant. But because he loves me, he tolerates my occasional dive into the whimsical. The long wait mid-day was too much even for me, but we came back in the evening, after the masses had all ended and most of the crowds had dispersed to find beds and dinner. The short line moved quickly, with a volunteer to make sure no one lingered too long. We climbed the narrow stairs – me giddy and bouncing, and Eric embarrassed, hanging back. There was a man in front of me in line who was…well, he was a big guy. And when he tried to reach around the golden shoulders, I saw him bump the gilded staff…and it jangled as if it was loose. The pilgrim in front of me almost broke Saint James! But no, everything was all right. And then it was my turn. I was still giggling as I leaned into the bright altar spotlights and reached out. But then I had a moment, one of those rare I am present, right now, and this will never happen again. And I totally leaned in and laid my face on the shiny gold and said gracias. Thank you for a thousand miles we traveled without serious injury. Thank you for the millions of people who have trekked this way before me. Thank you for the story you left behind. Eric may still disagree, but I thought it was a lovely, personal moment with the guy at the center of the story. For me: I view a statue, and think of the person it represents. The statue is not The Saint. I may pray to a Saint for guidance. There are worshipers of ancient cults/religions that did pray to false idols – and maybe some today! Congratulations to one and all who complete this pilgrimage and honor those who have gone before. Thanks for your reply. I didn’t mean to imply that I thought I was hugging the actual person of James somehow (nor would I pray to either the statue or the original person), but I can see how my original post may have been read that way. I went back and added a sentence for clarity.